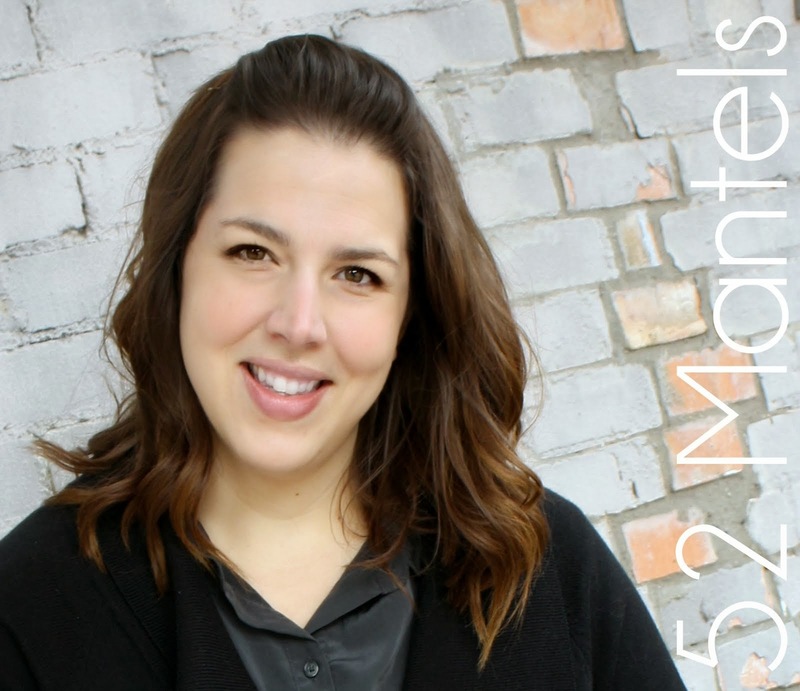 52 Mantels: Calling all snackers! Are you always on the hunt for tasty, healthy snacks for your family?? I certainly am! It seems like I buy lots of snacks that don't quite pass the toddler taste test (roasted quinoa seaweed chips, I'm looking at you *cough*). 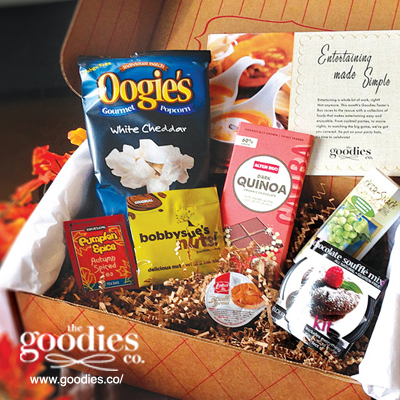 That's why I LOVE LOVE LOVE the idea of Goodie's Co Taster's Box! For $7/month, you get a box full of 5-8 snacks to sample. With the sampler box, you get to sample a wide variety of treats, without the waste. Brilliant, right?! I love that Goodies Co has figured out a way to let us "Try it before you buy (lots of) it"! The images in this post are samples of some past Goodie Co. Taster's Boxes. Looks delish, right? Are you interested in a monthly snack box?? Well, I've got the hook-up for you today! Typically, there's a waitlist, but if you use the code BLOGVIP, you can skip the line. Sweet! Click here to sign up for a box of your own. And, Goodies Co. does care about your opinion! 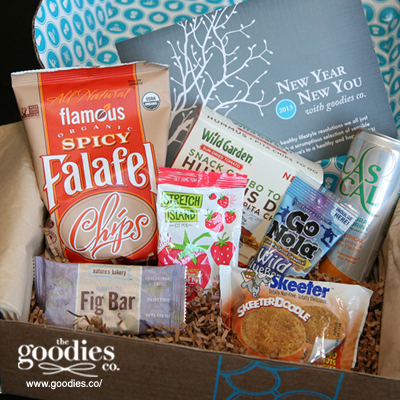 So, after you try your snacks, be sure to go back to the Goodies website and give a review of your box. By doing this you will earn points to redeem for rewards and free Taster's Boxes. Woohoo to free stuff! 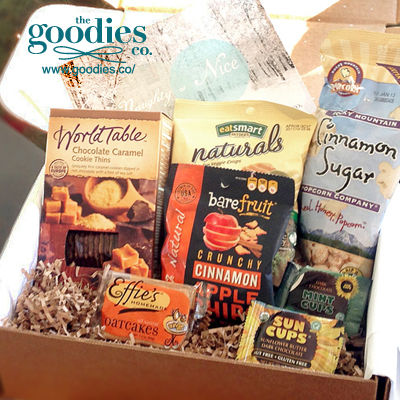 **This post is sponsored by Goodies Co and I was financially compensated for my participation in the above campaign. The opinions expressed are 100% my own. What a great concept! I have to agree that your little one is also the cutest snacker ever!! I think it's s fun concept, too, Jamie! 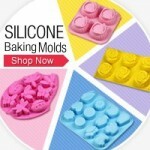 Mmm, yummy - perfect for road trips - something new will always keep the kiddos quiet! All these snacks look delicious! I've been trying to find some healthy/better quality snacks and now I know where to turn. Thanks for sharing!!! Such a fun idea! Thanks for sharing, Emily! Nom nom nom looks pretty tasty to me and much more exciting than receiving bills in the mail box!